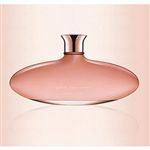 The new fragrance for her by John Varvatos.Warm, elegant and sensual-a new level of sophistication in fragrance. Enriched with luxurious ingredients that awaken the senses. I always feel great when I wear John Varvatos.